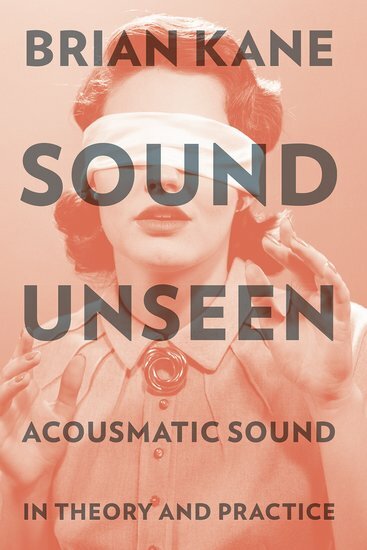 Sound Unseen: Acousmatic Sound in Theory and Practice explores the phenomenon of acousmatic sound. An unusual and neglected word, “acousmatic” was first introduced into modern parlance in the mid-1960s by avant garde composer of musique concrète Pierre Schaeffer to describe the experience of hearing a sound without seeing its cause. 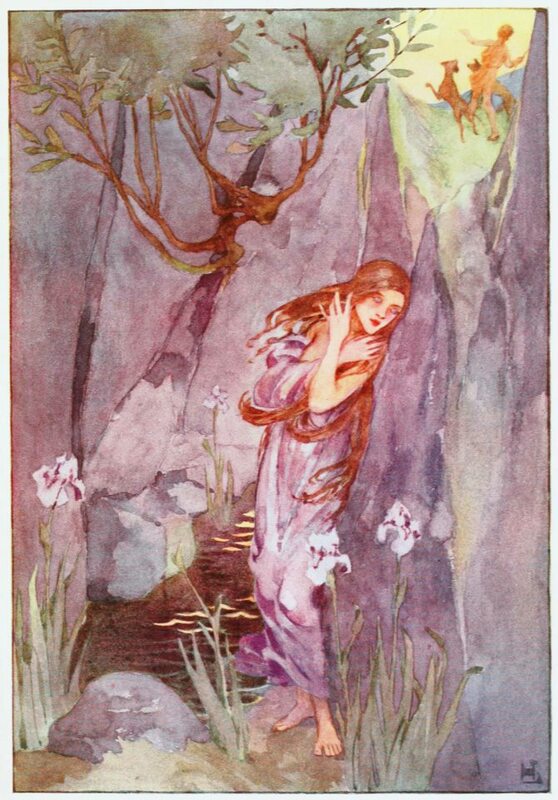 Working through, and often against, Schaeffer’s ideas, Brian Kane presents a powerful argument for the central yet overlooked role of acousmatic sound in music aesthetics, sound studies, literature, philosophy and the history of the senses. Kane investigates acousmatic sound from a number of methodological perspectives — historical, cultural, philosophical and musical — and provides a framework that makes sense of the many surprising and paradoxical ways that unseen sound has been understood. Finely detailed and thoroughly researched, Sound Unseen pursues unseen sounds through a stunning array of cases — from Bayreuth to Kafka’s “Burrow,” Apollinaire to Zizek, music and metaphysics to architecture and automata, and from Pythagoras to the present-to offer the definitive account of acousmatic sound in theory and practice. You can get it here if you have $27.95. 2016, haven’t you taken enough from us for one year now? A short film about Michiel Kruger, who despite being blind, has set and broken various sports records the last 56 years. At the age of 70 he still holds 2 world records and runs a piano tuning business in Bloemfontein. Russolo designed and constructed a number of noise-generating devices called Intonarumori, and assembled a noise orchestra to perform with them. A performance of his “Gran Concerto Futuristico” (1917) was met with strong disapproval and violence from the audience, as Russolo himself had predicted. None of his intoning devices have survived, though recently some have been reconstructed and used in performances. (Check this out!) Although Russolo’s works bear little resemblance to modern noise music, his pioneering creations cannot be overlooked as an essential stage in the evolution of the several genres in this category. Many artists are now familiar with Russolo’s Art of Noises manifesto. Antonio Russolo, another Italian Futurist composer and Luigi’s brother, produced a recording of two works featuring the original Intonarumori. 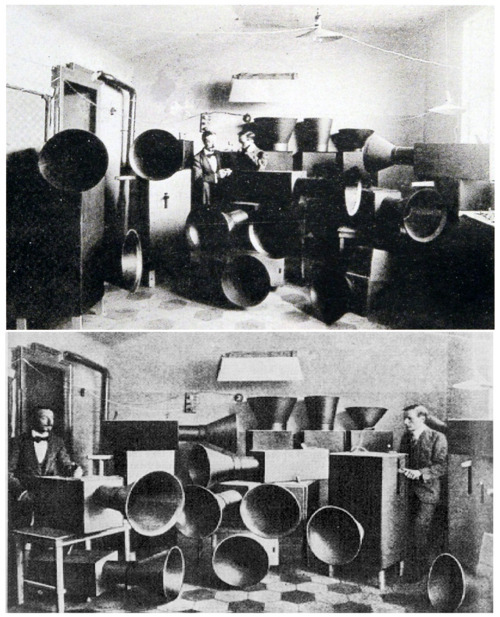 The phonograph recording, made in 1921, included works entitled “Corale” and “Serenata”, which combined conventional orchestral music set against the sound of the noise machines. It is the only surviving contemporaneous sound recording of Luigi Russolo’s noise music.